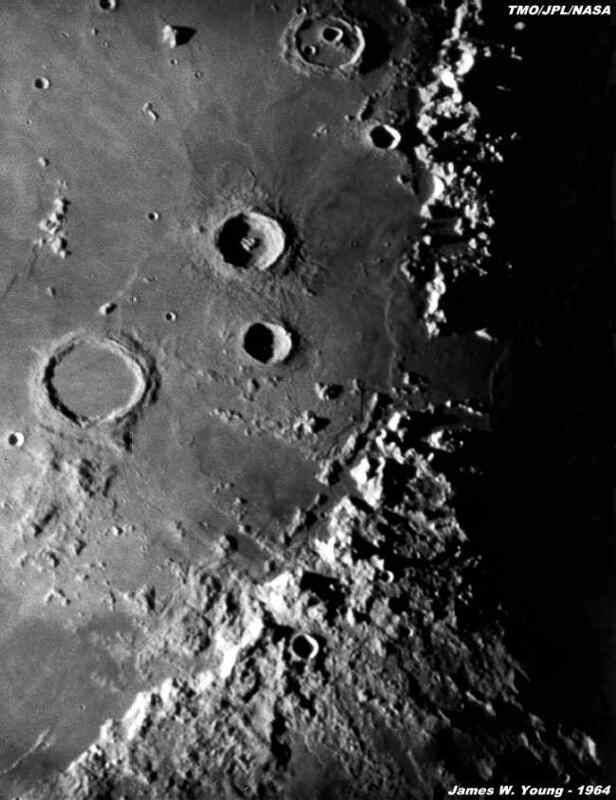 negative recorded craters as small as 1 mile in diameter. 11000 feet above the interior floor. The large Apennine Mountain range curves across the picture from the center to the lower left (east).